June has been an amazing month, and I still haven’t experienced the giddiness of the Purá Belpré Celebración this Sunday at the American Library Association Annual Conference! 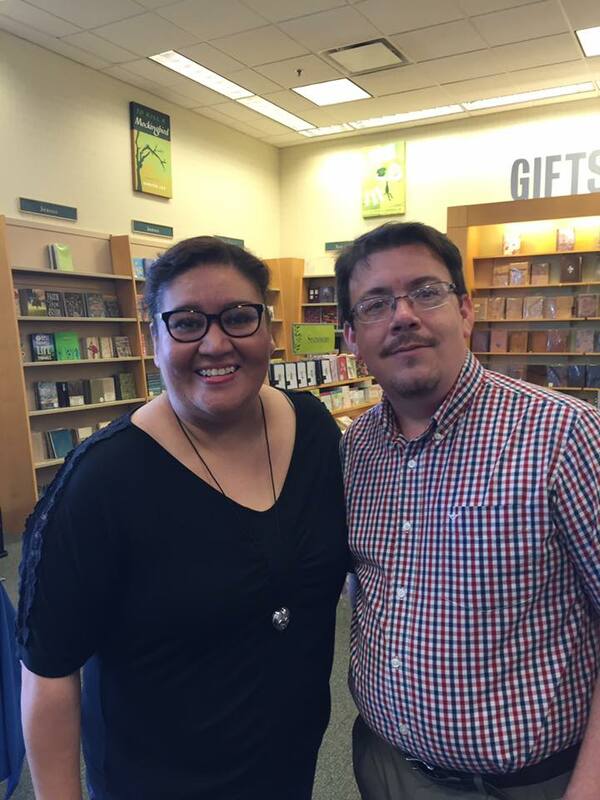 I had a lovely experience at both the Corpus Christi and McAllen Northcross Barnes & Noble during B-Fest. 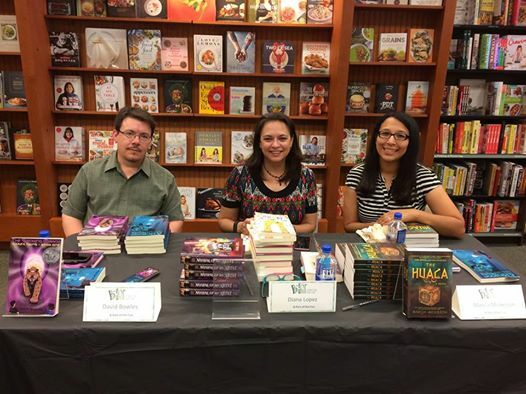 The bookstore chain was trying out this nation-wide teen book festival for the first time this year, and it seems that, in South Texas at least, the initiative was a resounding success. Both days (June 11th and 12th) there were impressive crowds, with all seats taken and people happily standing. In Corpus Christi, I was on a panel with the fabulous authors Marcia Mickelson and Diana López, our conversation moderated by Gloria Barrera and the other folks at Barnes & Noble. 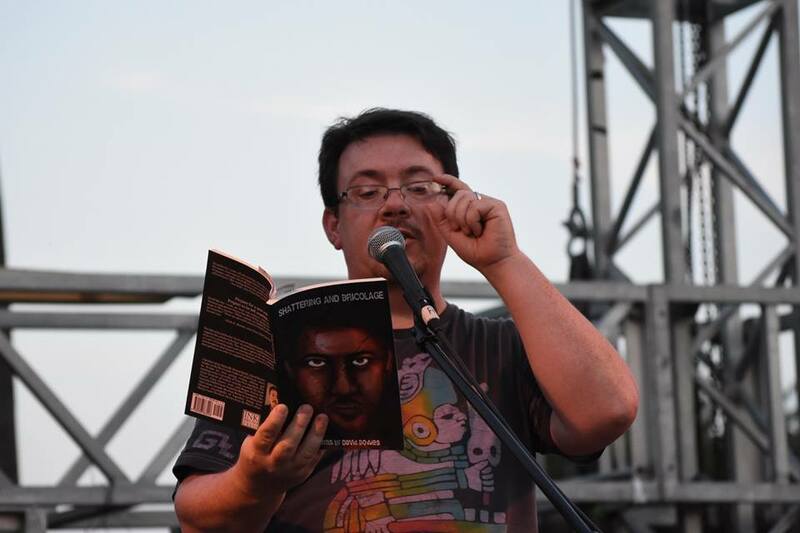 In McAllen, I was the featured author at an event managed by Carolina Castillo. Here I am with Diana López and Marcia Mickelson at the Corpus Christi B&N. After talking about the genesis of the Garza Twins series and reading excerpts, I fielded some fantastic questions, mostly from young people in the crowd. Barnes & Noble had stocked up on The Smoking Mirror and A Kingdom Beneath the Waves for the events, and there were brisk sales after the competition. I signed books and chatted readers up, leaving a good number of signed copies at each store along with bookmarks to be given out to customers. All in all, as part of the general “promote the heck out of Garza Twins” tour, the weekend was very fruitful. On June 16, I was one of the poets who read at the fifth anniversary of Pasta, Poetry & Vino, the premiere venue for verse in deep South Texas. The event featured Verónica “Lady Mariposa” Sandoval and the fabulous band Dulce Tóxico. Reading at the 5th anniversary of PPV. 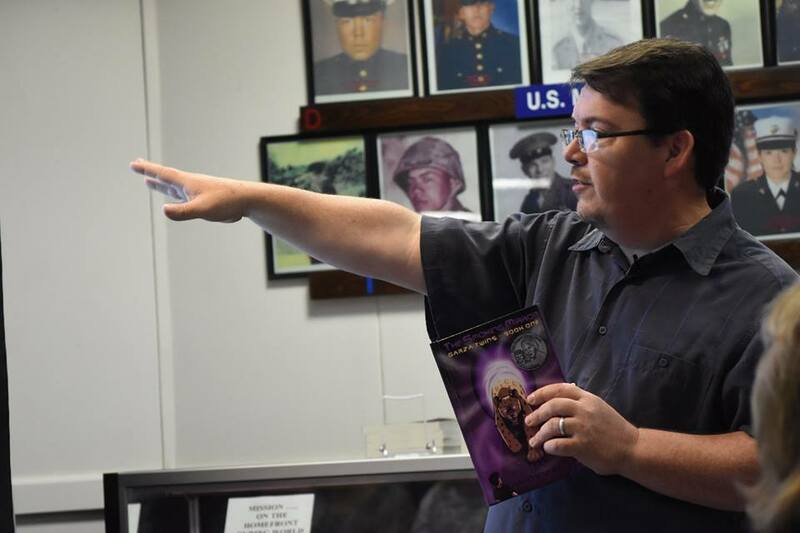 I was also invited to present at the Mission Historical Museum on June 18 as part of their My Mission: Oral History Project. The event was very well attended–I spoke to the crowd for about an hour on the role of folktale, legend and myth in the local history of the Rio Grande Valley of Texas. That discussion provided a natural segue into Garza Twins, given the local color and use of legendary/mythological figures in the series. Speaking at the Mission Historical Museum.